The Nevada State Athletic Commission will now be enforcing a new mandate which they hope will prevent MMA fighters, as well as boxers, from future positive drug tests. Get ready to pay up if you decide to cheat. At yesterday’s monumental meeting, NSAC chairman Bill Brady motioned to have all future “fight bonus” earnings be immediately forked over to the state if a fighter is found guilty of using a banned substance. His motion was unanimously approved. Under a typical substance fine, the NSAC might include a portion of the win bonus, and a 25-30% fine off of the salary. 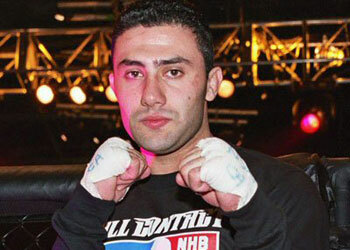 UFC welterweight Karo Parisyan may not think so right now, but it appears that he got off lucky when the NSAC handed down his nine-month suspension and fine after he tested positive for three different pain killers. The Commission also overturned his Unanimous Decision win to a No Decision. Parisyan earned $40,000 to show and a $40,000 win bonus after he “defeated” Dong Hyun Kim at their UFC 94 fight. They took 40% of his total purse, netting the state $32,000. Under the new terms, the Armenian fighter would have been out anywhere from $50,000-$52,000. Bailey is just looking to legitimize the sport, as well as rewarding those that complete fairly. “The contestant ought not to benefit, by utilizing and ingesting painkillers, to the extent of the $40,000 in the win column,” Bailey said. After seeing an obscene amount of big name fighters test positive for banned substances last year, the Commission is doing what they feel is best for the sport.